TSH Newsroom: But we really really need it!! But we really really need it!! How many of us have heard that phrase while shopping with our kids? You buy the product and it sits on the shelf and no one ever uses it. Well at home it's only our monthly budgets that get affected, but as a distributor every time a salesman or an inventory manager tells you "We need it!!" , its costing you money..
One Solution to the problem... Using your Software Systems analytics tools to find those items and get rid of them. 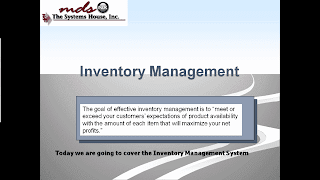 Inventory Management – Explore the expanded purchasing capabilities incorporated into MDS. The objective is to identify the vendors and products in need of replenishment. 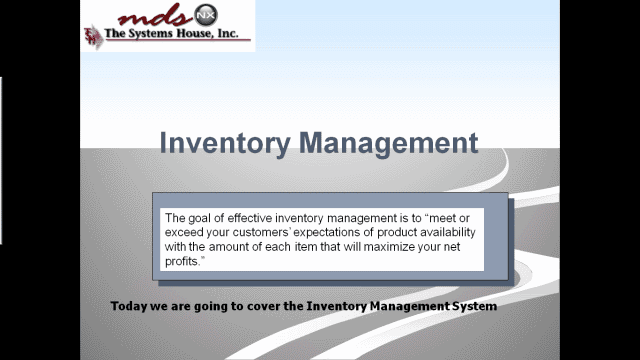 The Inventory Management module attempts to minimize inventory investment while reducing stock outs and backorders. The MDS Inventory Management System gives you the Inventory Analysis Tools to identify items that can be eliminated from inventory. for retaining. But get rid of the rest. The fact is, they are contributing nothing! may be below the 100% sales line. Zero turns per year. No sales activity at all. general rule. It's a simple rule but without the right analytical tools it may not be a one click easy report.